First of all, happy Mother's Day to those of you who are mothers! Or, if you are not mothers, I am sure this is a day when we can all appreciate our mothers. I remember when my mother was quite old herself.....and she told me that she missed her own mother. Glad to see each of you here this week for Poetry Pantry. It is always enjoyable for me to get to know you through your poetry; and I hope you feel the same. Admittedly, I personally appreciate those with whom there is a feeling of reciprocity, which makes for a feeling of community. I think we ALL tend to visit (after a while) people with whom we reciprocate. 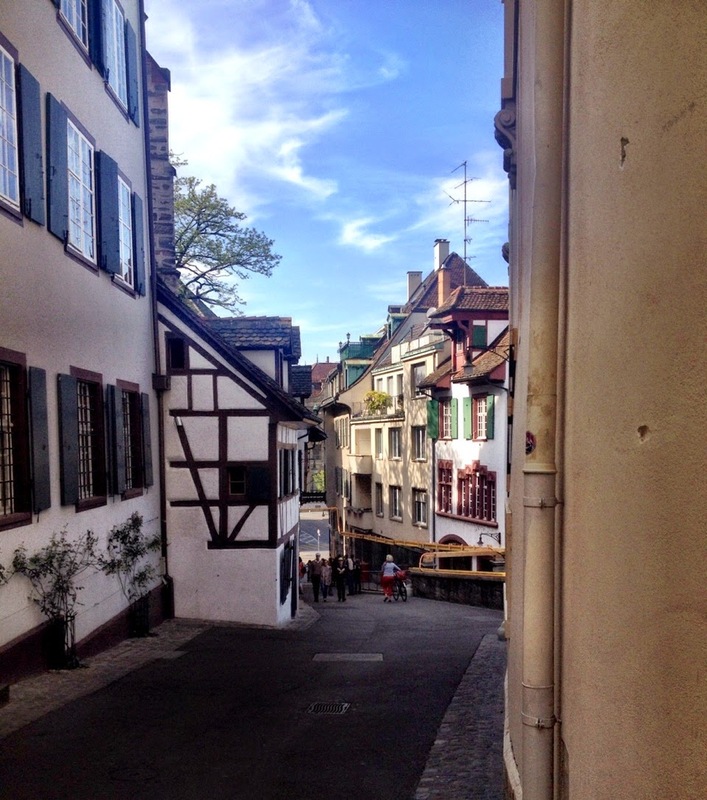 This week we are featuring photos taken by Claudia Schönfeld of Basel, Switzerland! Basel is Switzerland's third most populated city. 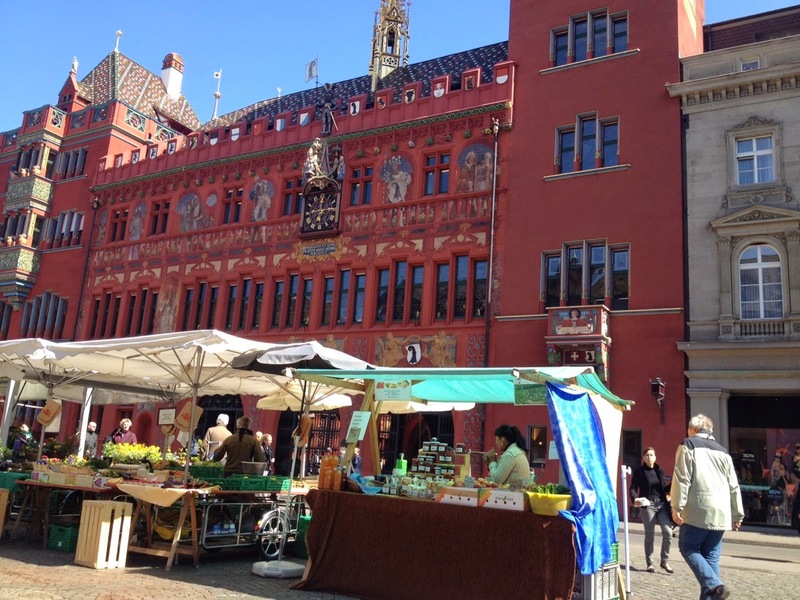 It is among Switzerland's most important cultural centers. Thanks especially to those of you who participated for the past few weeks when I was traveling and not able to either write poetry or comment! Be sure to visit Poets United tomorrow to see what Sherry Blue Sky has planned to share. Will it be a featured poet? A featured blog? Or a featured poem? Glad to see the turnout for Mid-Week Motif Wednesday continues to be good. We hope to see you this coming week for another challenging prompt by Susan Chast! And on Friday, remember to see who Rosemary Nissen-Wade is featuring on her "I Wish I Had Written This" or "The Living Dead." I issue an invitation here to those of you who participate in Poetry Pantry. If YOU have special photos that you would like me to feature some week, let me know what kind of photos you have. There are participants here from many different cities, many different countries. I think it is great fun to see different areas featured. I am especially interested in scenic views of your area or an area you have visited. Send inquiries first to dixibear@aol.com letting me know what you have. I am interested in city or country views - in your home area or places you have traveled. Anyway, with no further adieu, this is one of my favorite spaces to post poetry each week. I hope you look forward to it too. An older one or a new one, it's your choice. Link your ONE poem. Then leave a comment below. Then visit other poets. And I will too. (If I miss your poem, visit me, and I will visit you... I am like anyone else, appreciating reciprocity.) We ALL like comments, so if you link please DO spend time visiting others. That is part of the fun as well. We really like it if you link back to Poets United too, so we spread the Poetry Pantry word in the blogosphere. Come back a few times on Sunday and Monday to see what's new. Visit some strangers, and they will become new friends! Making new friends and reading new poetry, what more could one want? Also, don't forget to visit Poets United other days of the week. For example, every Wednesday (after the new year) Susan Chast posts a new "Mid-Week Motif" prompt. Hope you will join us there as well! Sherry Blue Sky does a feature (it varies) on Monday, and Rosemary Nissen-Wade does "I Wish I'd Written This" every Friday! If you are on Facebook, look for us there as well. Join our site. It is one more way to stay in touch! And now...here is the procedure, for those who are new here: Each Sunday we start a new post with a New Mr. Linky for you. This is so that you can post a link to a poem in your blog. The link will close Monday at 12:00 p.m. (CDT), but you can still visit the links of those who have posted them. Good morning, poets! Thank you, Claudia, for sharing your beautiful photos. Basel is a lovely city. I visited it briefly three years ago and would certainly enjoy going back. Good morning, Poets! It is a BEAUTIFUL (finally) spring day here. Enjoy the Pantry today. Looking forward to reading lots of good poems. I will probably be around to many of you a bit later today, as I have a busy schedule which will take me away from my computer for much of it! But I will be around.....as I hope you will. Smiles! Happy Sunday to you too, Sumana. this week has been hard, so i'm sharing three prompts from a week back..
Congratulations on your book, Natasa! Good morning all - hope your Sunday proves to be excellent. Thanks so much for hosting Mary and to Claudia for her excellent pics. Hope you have a nice Sunday too, Anna! Great pictures of that vibrant city. This week I'm sharing the poem Caudia asked for last Thursday for which I was too late. Gloomy subject with a touch of humour: I am in the midst of a bout of flu and my mind dwells on weird things. Hope at least it makes some people smile. woot!! will be over in a minute..
it's a cool city... in the summer you can even swim in the Rhein - and on the riverbank there's always a bit of a party going on.. Happy Mother's Day! I especially like that final photo...thanks for sharing Claudia. Basel seems like a beautiful city. Happy Mother's Day to mothers and happy Sunday to all! Happy Sunday to you too, Kerry. Happy Sunday to you too, Grace! OK, I have commented as far as I can go right now. Will be back later on today / tonight. Lots of good poetry so far. Happy Mother's Day to all Mothers hope your day is a wonderful one. Working today I will visit as I can. Claudia's photos are lovely. Wishing all mothers and mothers-to-be a wonderful day. Happy Mother's Day! Great photos! Mary, it is so nice to have you back. You were missed! And thank you, Claudia, for the marvelous photos - so beautiful! I am, as always, late to the party, will dive in! Happy Mother's Day to all. Hello, folks. It's great to be with you all again. A mother's day wish for each of you mothers! Whew! I've read through the second column and will be back to read more later. Thanks to those who "digested" my few lines and told me. Happy mother's day to mothers and also people like me who, thankfully, have or had a mother or wouldn't be here. Where's your poem, ZQ? I'm missing your contribution this week. Good to see you, Brian. Congrats on finishing the grad papers!! I hope you will reward yourself a bit for having accomplished that! Smiles.